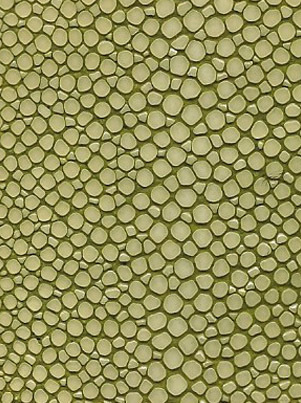 Shagreen, the jewel of all leathers, comes from a small fish skins. Each skin has a distinct grain direction, made up of palette of little pearl-like clusters. The characteristics spine spots often vary from a single pearl to a series of 4 or 5. The further away from the center of the skin the clusters become smaller. Projects require many pieces to cover a simple square foot of surface area. Taking this into consideration, the beauty of ones skin is exponentially multiplied in your finished project. 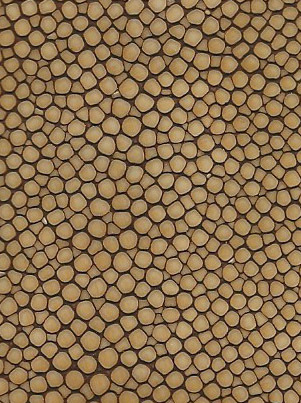 The typical maximum yield from a shagreen skin is 6"w x 8"l. For comparison, one cowhide equals about 166 shagreen skins. Colors are custom created for each project. Traditionally, shagreen was used on small decorative objects such as jewel boxes or as inlay in ceremonial sword handles. The materials are now incorporated into larger, architectural wall surfaces, cabinet doors, coffee tables, desk surfaces, side tables, headboards and sideboards. Although we offer many different types of tannery-finished leathers, we specialize in hand-dyed processing. Seen below in custom color samples are just a few standard reference colors and suggested uses for the different types of leather we work with. 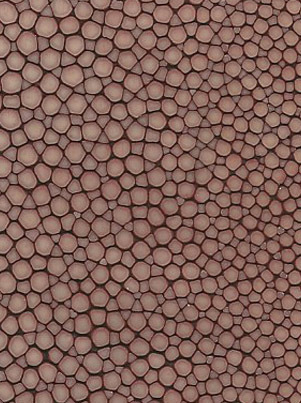 As each hide of leather is unique in its textures and markings. 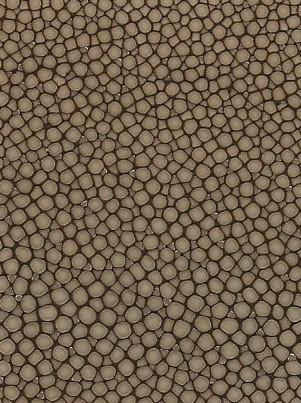 Cowhide- 50-55 sq ft, this leather is typically used for economy of yield, workability and versatility. 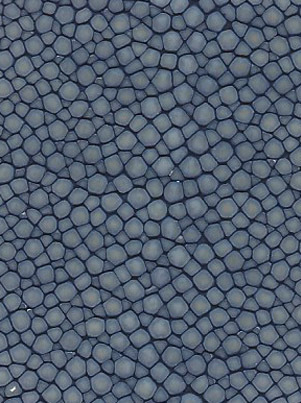 Calfskin- 25-30 sq ft, this skin tends to be the more "perfect" hide of leather. As the animal is younger and smaller, there are fewer surface marks and imperfections. 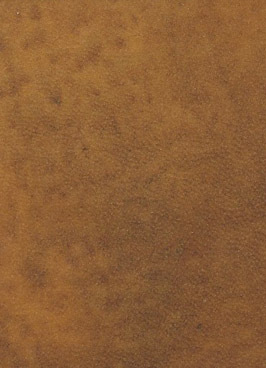 Goatskin/Sheepskin- 8-9 sq ft, this leather is extremely durable. 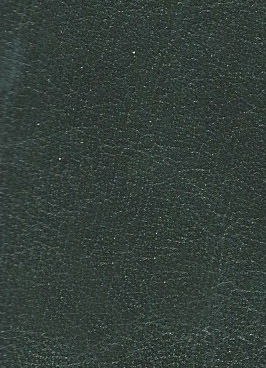 Of the hand-dyed leathers, it is the most scratch resistant. The unique grain of this leather allows for the greatest depth when antiquing. 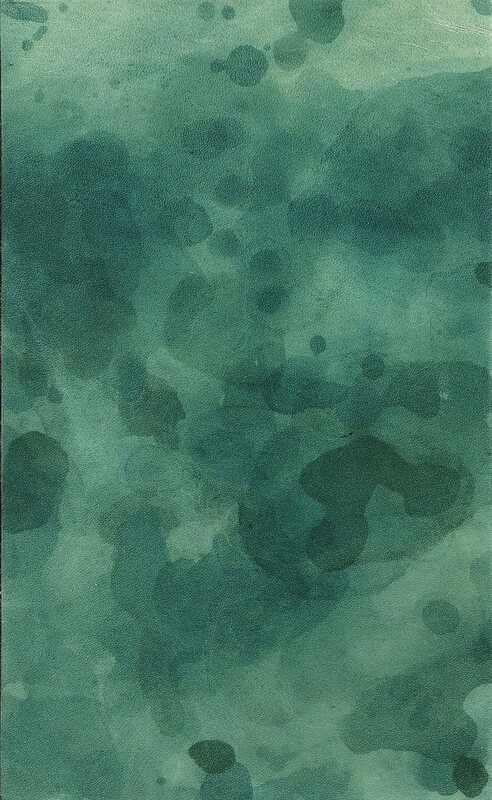 Suede- Delicate and hard to clean, great for lining drawers, counter balance on custom desk pads to prevent movement. Saddle Leather- Floor Tiles, Stitched Sling Seats, Desk Pads, Wall Panels. 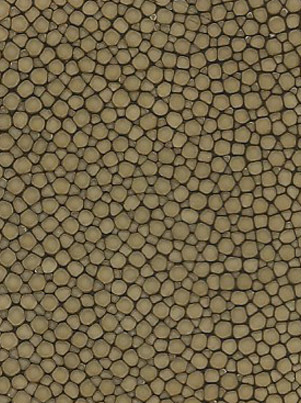 Ostrich- 15 Sq ft, Very durable, unique texture. Python- 3”W x 36”L unique patterning and texture. "When you walk into a parchment room, it feels like a sacred space: each individual panel is a piece of art; the atmosphere is very peaceful and reflective"
Parchment unlike leather (which is chemically tanned and, for the most part, "stabilized,") is an extremely hygroscopic material. This means that there is a great deal of expansion and contraction depending on the atmospheric conditions of its environment. Any project for which you are considering a parchment application should first be thoroughly discussed with your craftsperson or installer. Sheepskin- maximum preferred cut is 20"W x 24"L. This parchment is the most consistent in tonality and surface quality. It is creamy white in color, with a hint of its natural, golden lanolin. Goatskin- maximum preferred cut is 20"W x 24"L. This parchment tends to be more white in color, with a distinct pebble-grained surface. Goatskin parchment tends to have the most scars and natural surface markings. Calf Vellum- maximum preferred cut is 24"W x 26"L. of the three types of Parchment, calf varies most widely in color. 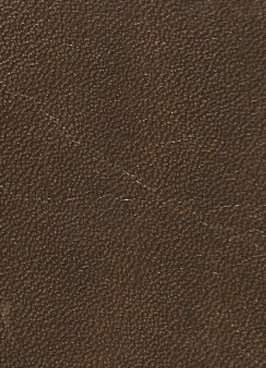 The natural animal markings are prevalent on calf vellum; this skin has the most "antiqued" appearance.